Please feel free to search our available rings online and take a look at our special order catalog, but don’t purchase the first bridal set you like. Take your time and choose the right ring – you will be wearing it for a lifetime. Perhaps more importantly, however, is choosing the right place to buy your bridal set. When you begin looking to buy your bridal set, make sure that you speak with a certified bench jeweler. You wouldn’t trust that a person with a pretty smile and a tie could build you a house just because they said they knew how to, right? Of course not! You would ask to see their credentials to prove that they knew what they were talking about. The same is true when buying that special ring that will be a symbol of your eternal love on your wedding day. Many rings can be very beautiful on sight alone, but the diamonds may be flawed or, even worse, they might not be diamonds at all. This is why you need to go to a certified jeweler that you can trust to help you to find the perfect bridal set for your special day. Another pitfall that many individuals fall into when searching for their bridal set is that they end up paying far too much and getting far too little for their money. When looking for your bridal set, make sure that you ask for all the specific information for each ring. Diamonds, like everything else, can range from very good quality to very poor quality. It is often very difficult to distinguish between high and low quality diamonds with the naked eye. Many bridal sets will come with certification cards from a third party which will outline the quality of the metal bands as well as the stones. In addition to asking for the specific information, it is also a great idea to ask the jeweler to let you see the item under magnification for yourself. 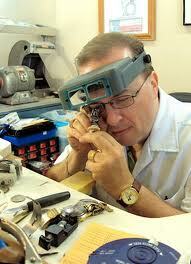 At Jewelry Doctor we make the process of selecting a bridal set or any piece of jewelry simple and straightforward. Most of our bridal sets have been certified and are displayed with the third-party certification card for you to inspect. In addition, I will inspect each piece of jewelry under a microscope which is connected to a big screen television. 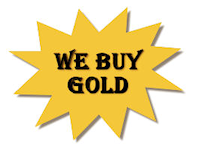 Customers can watch the television as the jewelry is inspected and I will explain the qualities of each piece of jewelry and point out any flaws. These are just a few of the ways that we are dedicated to helping you find the right piece of jewelry while feeling 100% certain that you are buying a quality piece of jewelry. Please browse our online selection for ideas and come in to see us for great personal service. Our sales are not commission-based so there is no high-pressure sales atmosphere. Avoid all the hype and simply be certain that you are buying the right piece of jewelry for you at the right price for your budget. No need to make an appointment, just come by our store. You’ll be happy you did.